Locality: United States, Illinois, DuPage, Morton Arboretum, 1 mile N of Lisle off I-88. Lake Marmo, west side. Notes: Plants are uncommon, perennial, spontaneous, 4 dm tall, 15 cm wide, white flowers. 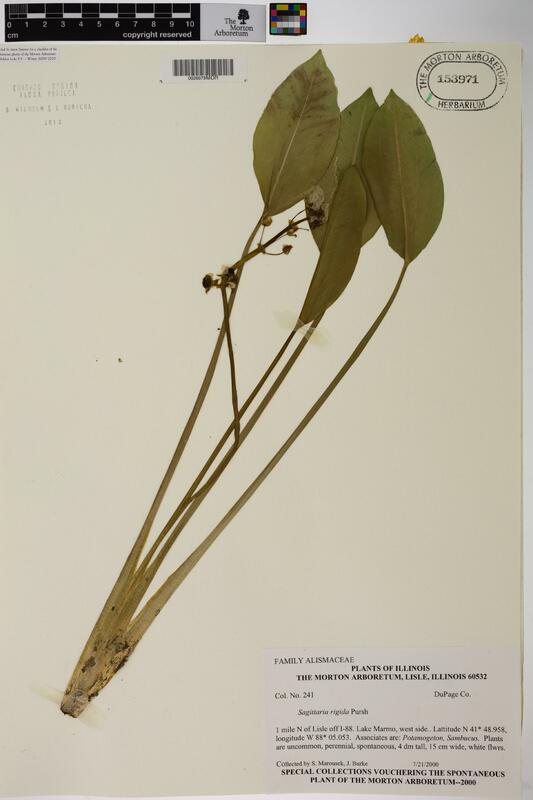 Special collections vouchering the spontaneous plant of the Morton Arboretum-2000.